We’re happy to announce that Nellie’s and Maddie’s litters both arrived! All the puppies are healthy and happy. Both first time mothers are doing great and showing excellent maternal instincts. Nellie’s litter was born on the 15th of Sept. Maddie’s arrived 10 days later on the 25th. So they’ll be available to go to their new families on Nov. 10th and 17th respectively. Most were sold before they arrived, but we still have a few that are not spoken for. 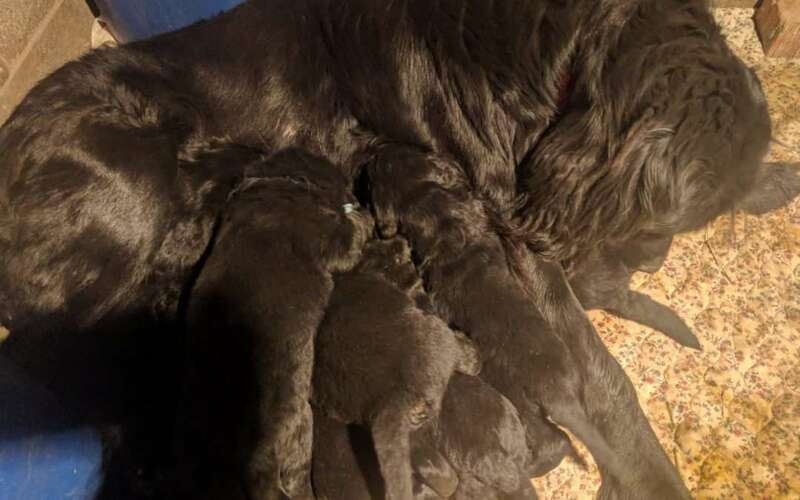 If a Newf is on your wishlist this year, contact Sonya right away, and get your deposit in. They’ll be gone before you know it.